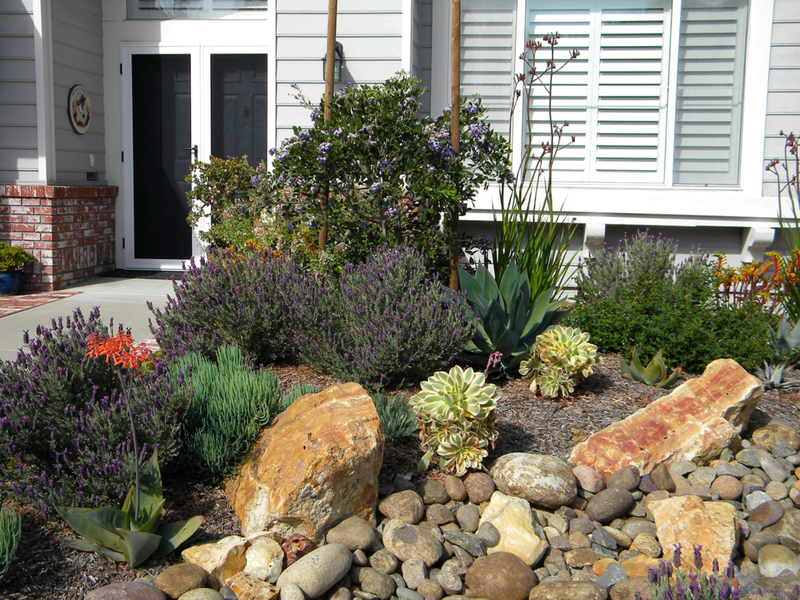 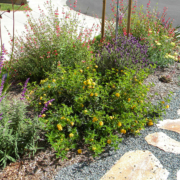 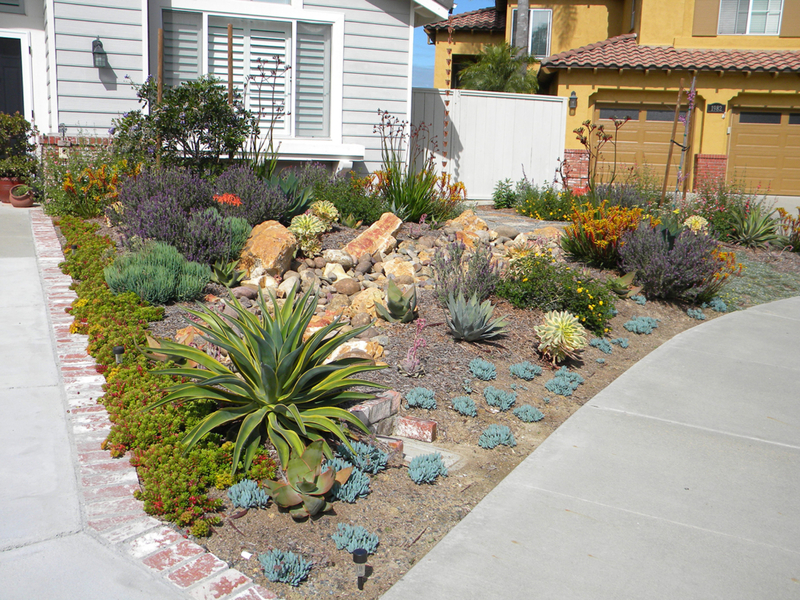 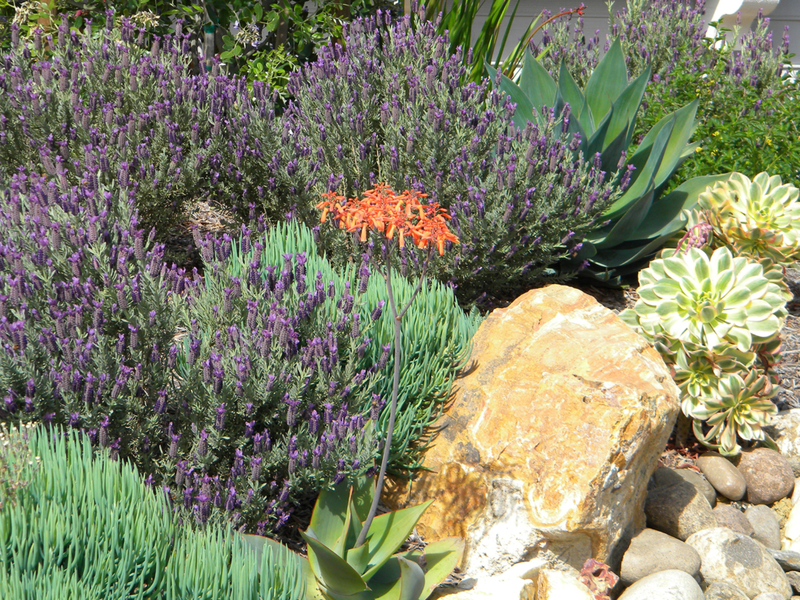 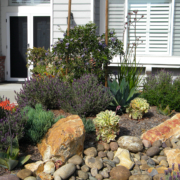 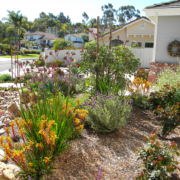 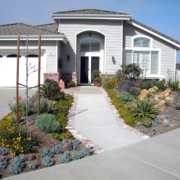 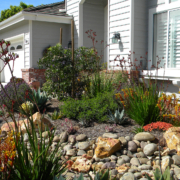 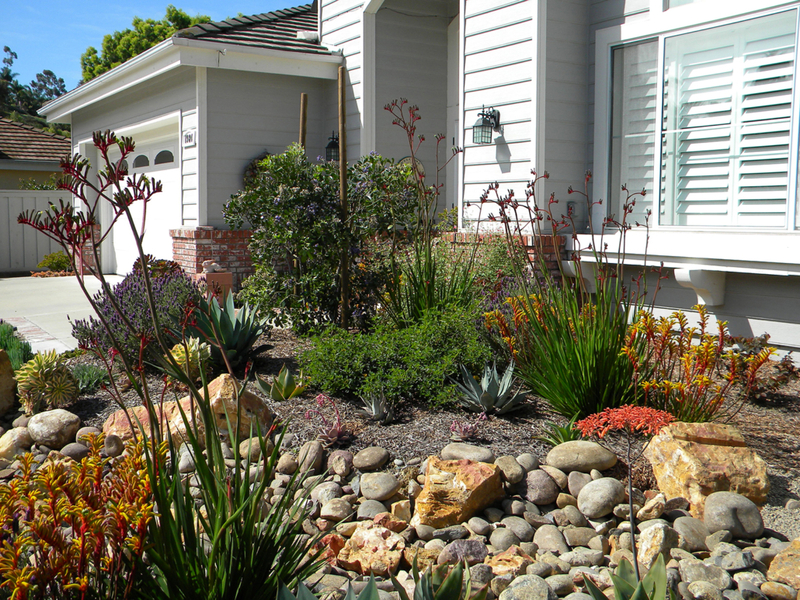 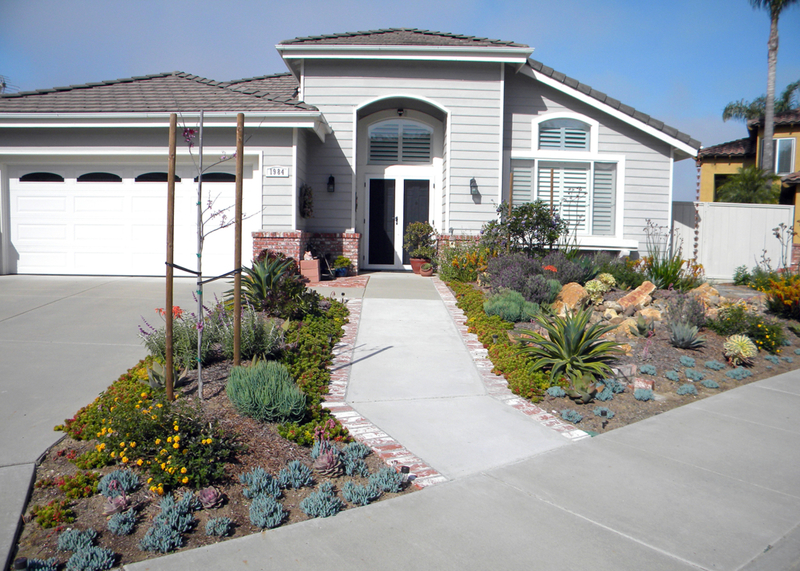 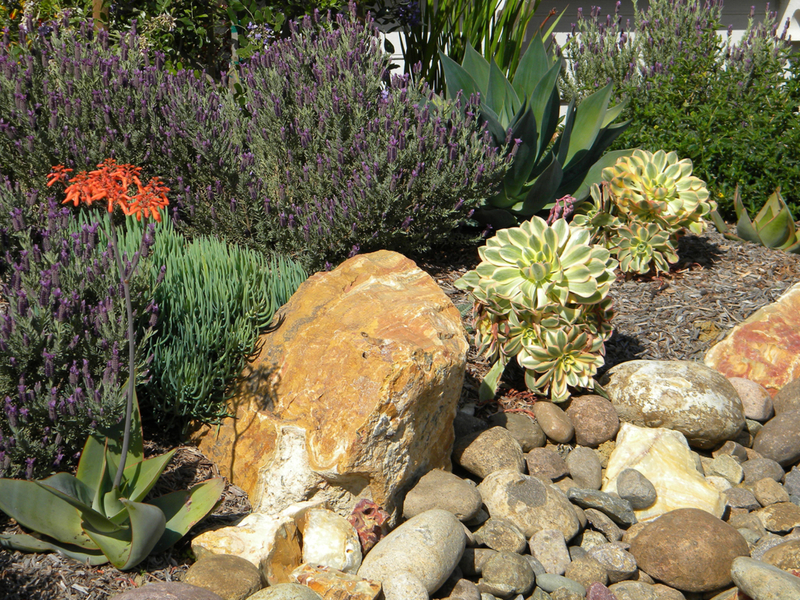 Cindy’s objective was to replace our traditional front yard with a drought tolerant one to provide a habitat for bees, butterflies, and birds, especially hummingbirds. 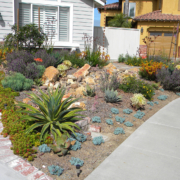 She hired Kari Brooner of KMB Design Studio for the landscape design and John Corning of KellyGrn Native Landscape Living Co. for installation. 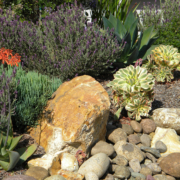 John was not only a native plant expert, he suggested adding a rain chain to feed into the dry stream and a Smart Controller with a rain sensor. 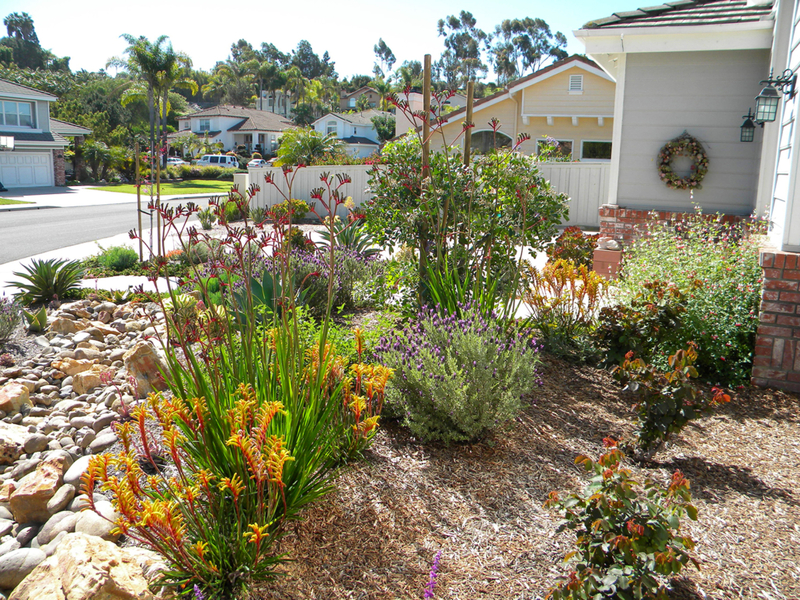 The new yard is an explosion of color with many plants blooming all the time. 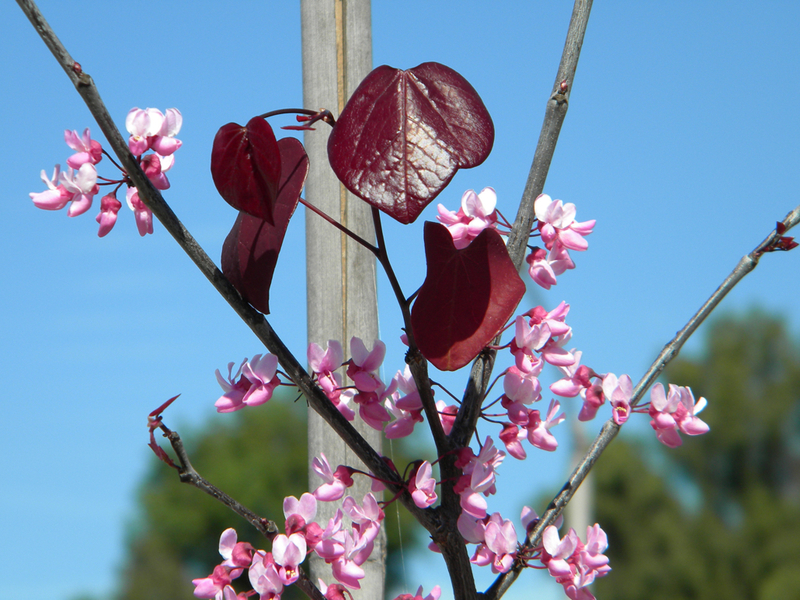 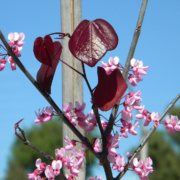 The Forest Pansy Redbud trees are deciduous and around Valentine’s Day produce a few tiny little leaves that look exactly like hearts! 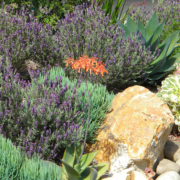 Cindy couldn’t be happier. 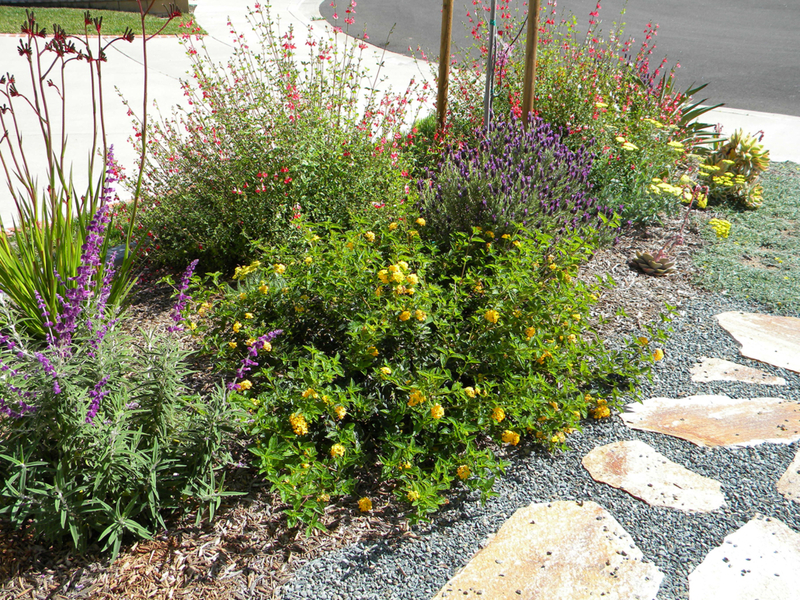 The birds, bees, and butterflies enjoy the new garden too.